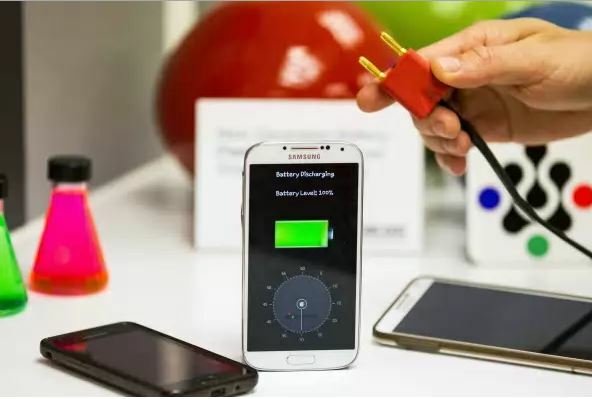 Storedot, the Israeli startup outfit that recently demonstrated a bio-organic battery capable of charging to full capacity in just 30 seconds, has now received $42 million from Samsung, Roman Abramovich, and others, to commercialize the technology. The money will be used to refine, miniaturize, and commercialize the ground-breaking battery technology as well as to new hire new personnel. Commercialization entails applying the technology to a full capacity battery and squeezing everything to fit inside a standard smartphone. The bio-organic elements, known as Nanodots, are cost effective and self assembled, meaning easy scaling to large scale production at even lower costs. Nanodots are inexpensive, originate from nature, and therefore can be made from a vast range of bio-organic raw materials that are readily available. They also have electrochemical properties allowing them to be used in the making of flexible, bendable, low power displays (think smartphones & TVs), super-fast flash memory, and bio-LEDs, while their eco-friendly and non-toxic organic nature enables them to be used in medicines and food security. Blacklight Power’s recent $11m now seems paltry compared to this. Wonder what the energy density of these butteries will be like though. This entry was posted in Uncategorized and tagged battery, Blacklight Power, nanodot, Storedot. Bookmark the permalink.